Four Seasons Resort Nevis will embark on a multi-million dollar enhancement project this year. The multi-phase renovation to the 350-acre (140 hectare) property will kick off in April 2018 with a thoughtful redesign of all 196 guest rooms and suites. "The renovation of Four Seasons Resort Nevis underscores our commitment to a continued investment in the island of Nevis and its people," says Gonzalo Güelman Ros, the Resort's General Manager. "With a partnership more than 25 years in the making, this project supports our common goal of being a destination of preference for Caribbean travellers." Preserving the architectural and design integrity of the original building exteriors, the room renovations will be feature a lighter, cleaner and fresher décor, creating interest and drama through the use of scale, texture, pattern and colour. Light-drenched spaces will give off a sense of comfort and the ultimate feeling of being completely relaxed. Design details will reference a chic, fashionable and stylised voice of the Caribbean spirit and soul: the new wall covers reference the British botanical patterns favoured by the rich fabrics of 19th century England, but rendered in a fashionably contemporary pale sea-foam green that recalls the island's frothy shoreline; the multi-coloured geometric carpet is inspired by the legacy of Caribbean stained glass windows; and the desk chairs are inspired by the flora and fauna of Nevis, with particular affection for the mischievous yet lovable green vervet monkeys that are iconic ambassadors of the island. "Built on a former sugar and coconut plantation dating to the late 1790s, we wanted to maintain Nevis' quaint and intimate reputation as an untouched Caribbean destination," says Todd-Avery Lenahan, Founder of TAL Design Studios. 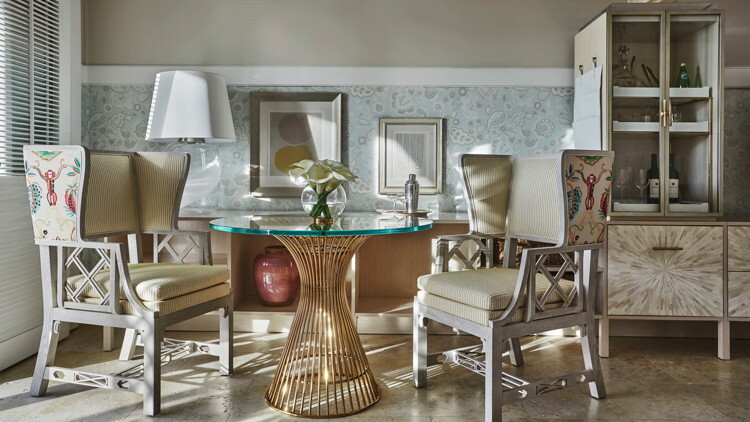 "The refreshed interior design is not meant to be a complete overhaul, but rather the realisation of a new vision for the Resort that speaks to the modern Four Seasons traveller, while painstakingly preserving the humble charm of the Resort's small island home." Following the start of the room renovations, the Resort will also begin a reimagining of its Great House and lobby areas, as well as its food and beverage outlets. All guest rooms and suites are expected to be completed by November 2018.